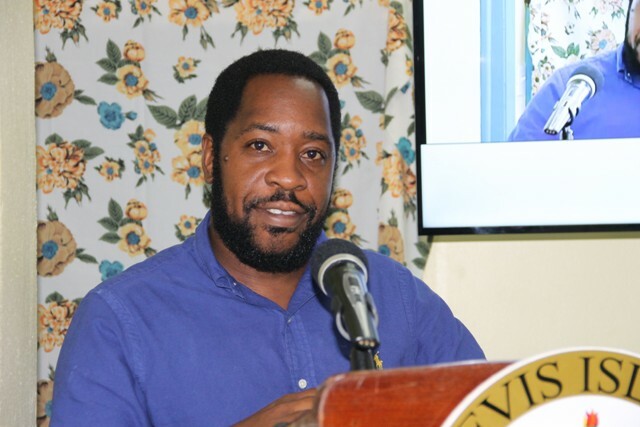 NIA CHARLESTOWN NEVIS (OCTOBER 28, 2016) — The Department of Information in the Nevis Island Administration (NIA) broke new ground in the area of telecommunications in St. Kitts and Nevis, when it launched the digital platform of Nevis Television (NTv) on October 28, 2016. 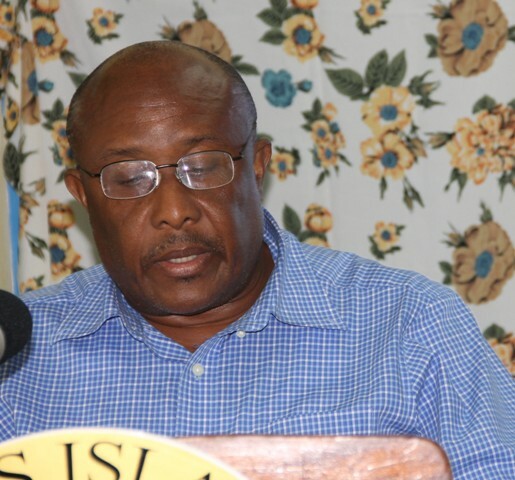 Director of the department Huey Sargeant, in remarks at a ceremony to mark the occasion, said that the move which is being done in collaboration with the Information Technology Department and consulting Web developers for the NIA, Ajile Junction Technologies (AJT) based in Canada, would provide greater access to Nevis Television’s programming. “I’m sure you have heard the term digitization or the Digital Age. For us [NTv], it simply means that we have the ability to broadcast via the Internet. Over the past 10 years, the internet or the World Wide Web have become a critical part of the lives of everyone and in particular our audience. “As broadcasters, we have had to change our approach, in that, no longer do we have an audience that rushes home or to the nearest television to look at news or any other production. We now have to put the news and all other shows in a format and on a platform that is accessible to members of our audience for when they have the time to watch,” he said. Sargeant noted that the move was also to satisfy the needs of members of the public locally who had been seeking an alternative way to view NTv on various devises apart from cable. With the new platform, NTv’s programming is now accessible from anywhere in the world and especially to Nevisians in the diaspora. The director used the opportunity to pay tribute to his staff who he described as hard working and constantly dedicated in their quest to provide quality productions. He also recognised past staff members who he said paved the way for what is now called NTV and the late former minister of government Malcolm Guishard whose vision is being expanded on. Meantime, AJT Representative John James said NTv’s launch of digital services makes it the first in the Federation and the first in the Organisation of the Eastern Caribbean States (OECS) to boast of such a wide range of platform availability. He said NTv’s broadcast would be available on NevisTvOnline.com on desktop, mobile and tablet, Kodi or XMBC – computers, Apple, Android, Linux, Ruko, Android Phones, Android Tablets, iPhone, IPad and Facebook Live. 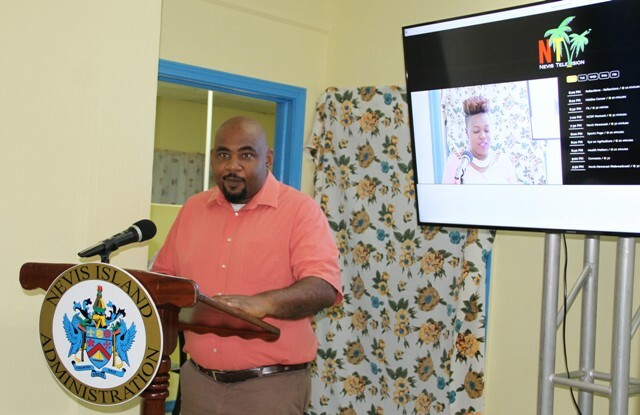 Permanent Secretary in the Ministry of Tourism, Culture and Information Carl Williams, lauded the department for keeping abreast of technology and for responding to the needs of its viewers. “In today’s world an organization that listens to its customers is far more likely to succeed than one that is out of touch with its clients. NTv has listened to its customers who are armed with smart TVs and IP technology and I can only envision greater things in the future,” he said. He noted that the journey to this point has been a step-by-step process and pointed to the department’s decision to introduce a rebroadcast of the news package and a Facebook page and now the app-bases platform. Other remarks also came from Craig David, Assistant Director of the Information Technology Department. The prayer was delivered by Malcolm Ramsey. Fredicia Liburd chaired the ceremony.